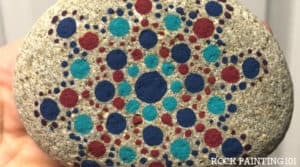 Dot painting is a very popular rock painting technique. From intricate Mandala styles to simple sunsets, there is something for all skill levels. 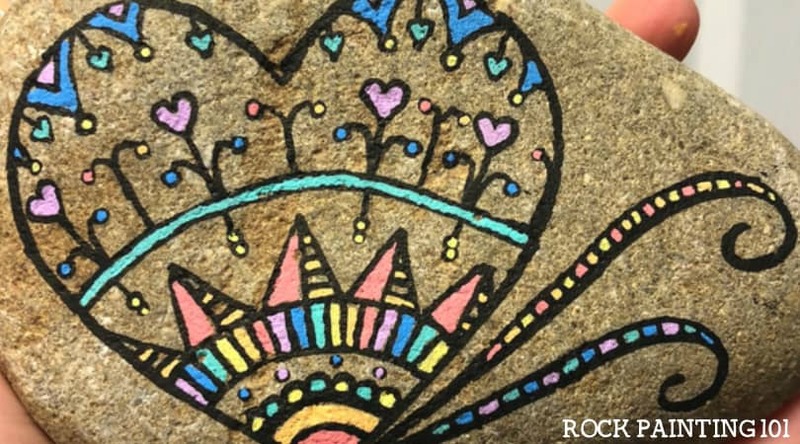 People who are just learning how to paint rocks may feel a bit intimidated by this style of stone painting. 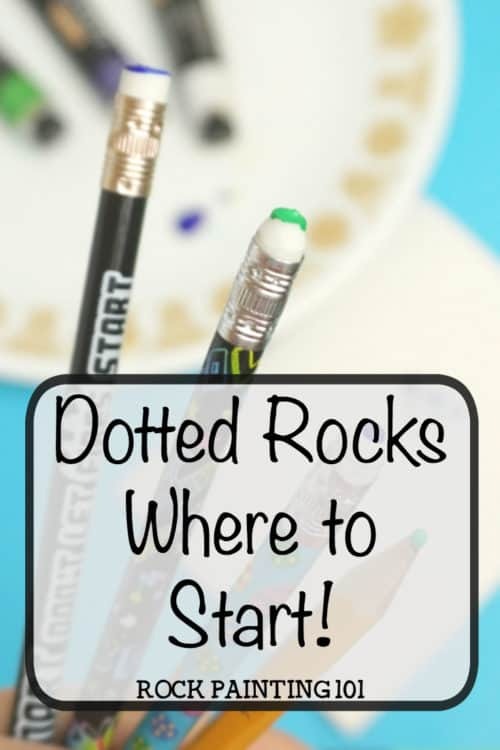 Here are some of our tips for those who are beginners to dotted rocks. 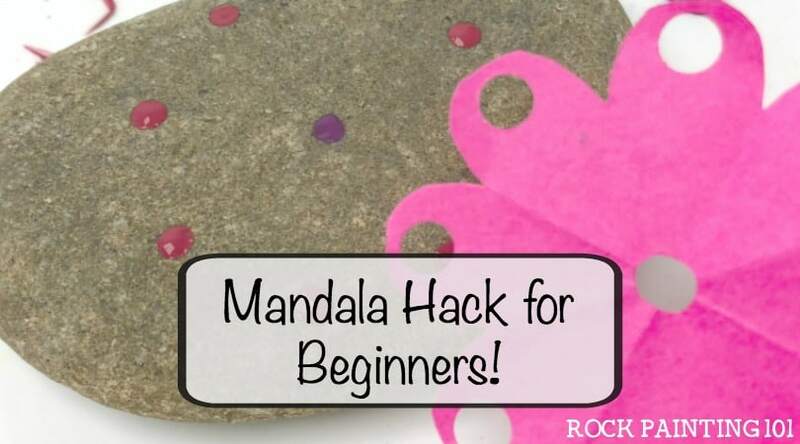 If you search for ways to paint rocks you are bound to see lots of beautiful dotted mandala rocks. This style is very popular, but also a bit intimidating. When learning dot painting, I highly suggest doing a few less complicated dot style rocks before you tackle one of these. 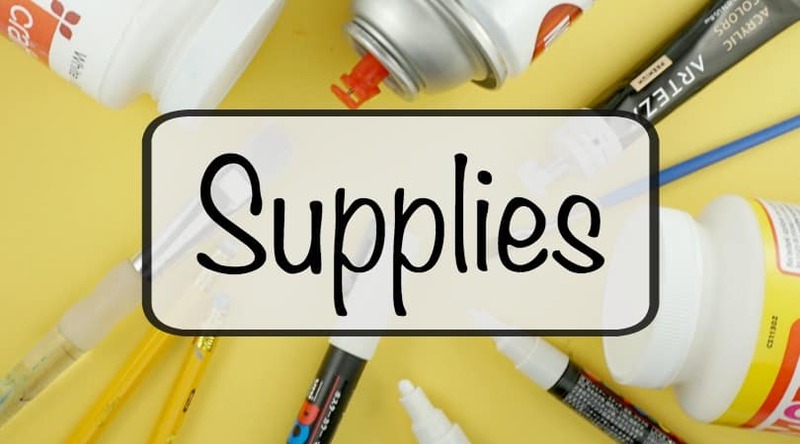 But, first things first… what kind of supplies will you need? I personally have not created many dotted mandalas, but I have created with dots a few times in the past. 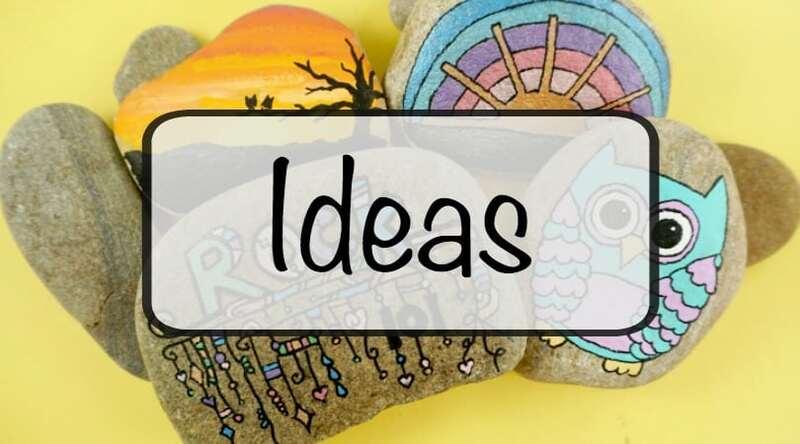 There are lots of different ways you can create all the different sized dots you need. This is one of my favorites! I have used this method quite a few times and love the results. I first saw it as a tip for rock painting with kids. It is perfect for beginners who might not be ready to invest in a full set of utensils. 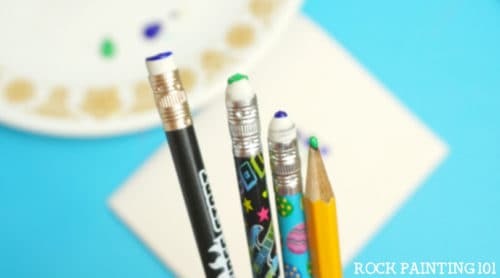 Simply sharpen the eraser end of a couple pencils to different sized dots. You can also use the sharpened end of your pencil for your smallest size. Practice a bit on a piece of paper you will see that different amounts of pressure will make different sized circles. You can also dab more than once and the circle will get a bit smaller. Just remember the more you do it the better you will get! Then give it a try on a rock! Want something a bit more fancy? More sizes? Did you know all of those metal dotting tips are actually for nail art?! There are plenty to pick from online based on how many sizes you want. Check them out! You know I love my Posca Pens and they can work with this style too. As long as you have a few different tip sizes you can be good to go! You can grab a set of pens here. All it takes is a look around your house and you are sure to find something that can work. 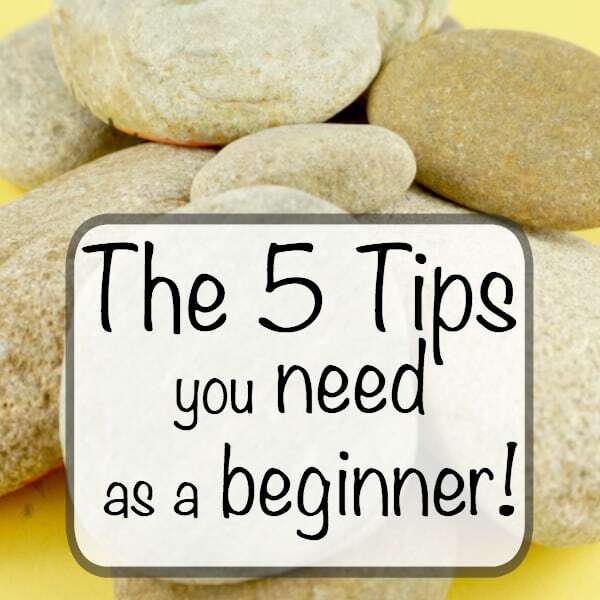 Whether it is drill bits, toothpicks, or a thumbtack stuck to the bottom of a pencil eraser as long as they vary in size they are worth giving a try! 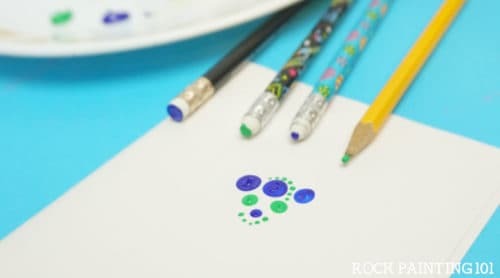 Check out this rock painting idea that uses the dot painting technique!